A big thank you to Jenni Bill for allowing us to use AJ. We are so proud of this little girl and so thankful to have bred and own her. 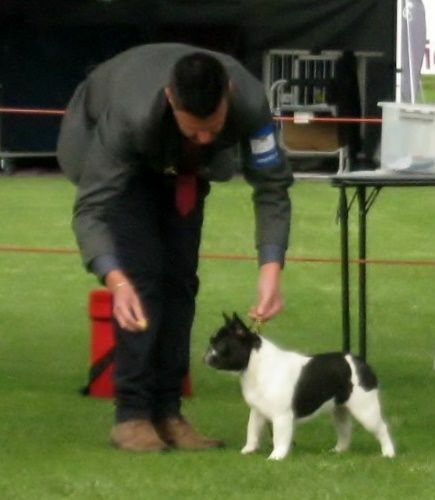 What a great achievement for one so young, at only 6.5 months old she has won Best In Show under World renowned Judge: Dimitri Van Raamsdonk (NDL). Judges comment: "I returned from my wonderful journey to Melbourne ,Australia. I had a superb stay and have met many new and old friends along the way. I am happy and privileged for this invitation. 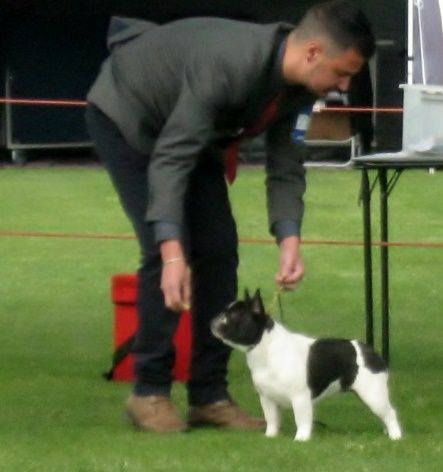 Judging the Champion Specialty show from the French Bulldog Club of Victoria with a record entry of 95 Frenchies was a great honour. My BIS winner this stunning pied French Bulldog puppy: Kaysand uptown Funky girl"
First litter due June 2018 by Ch. Kaysand Simply Style.